We at JW Auto Care, not only operate an auto repair business in the Scottsdale and Tempe areas, but we also live here and love the unique beauty of this part of Arizona. That’s why our auto mechanics take extraordinary efforts to protect our environment by helping our customers maintain the most efficient and safe vehicles possible. By maintaining a vehicle in good working condition with proper tires and inflation, tune-ups, alignment, and regular oil changes, our customers will experience increases in fuel economy as well as reduced emissions. The fact is that all of these preventive measures help you avoid costly repairs, and they improve gas mileage. Both are good for your wallet and the environment. And that’s good for everyone. At JW Auto Care, local to both Scottsdale and Tempe, we go beyond basic standards and expectations of auto repair shops and take additional measures to protect our environment now and into the future. Every auto repair shop has to deal with waste oils and liquids generated in the course of auto repairs. There was a time when “proper disposal” meant that they went to a particular section of the landfill. We take it an extra step, and as a result, JW Auto Care is concerned about the environment and we make sure that this waste is recycled. 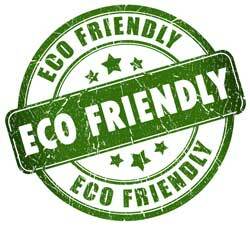 At JW Auto Care, we use recycled products when practical. 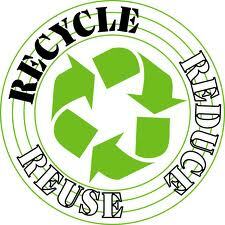 We recycle all old batteries, scrap metal, old fluids, and used oil & oil filters. Tires are also sent out for recycling promptly. These steps help keep our shop clean and show that our auto mechanics are committed to the environment. Replaced 100 percent of the shops lighting with eco-friendly, high-efficiency CLF lighting fixtures. Upgraded all of our computer monitors to new low-power LED monitors. Reviewed all of our practices to cut down on unnecessary paper usage and use computers to track all customer auto repair appointments.